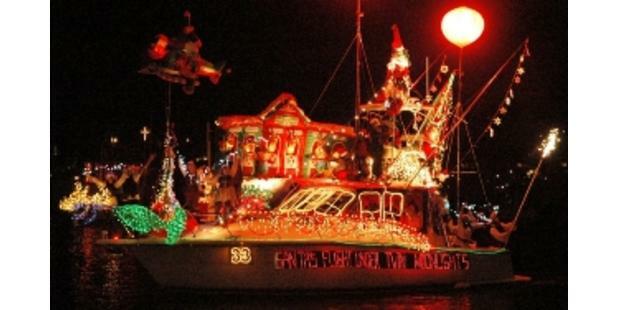 Celebrate the holidays coastal-style at the NC Holiday Flotilla. This annual celebration kicks off Friday night with the Tree Lighting ceremony. The event is open to the public. The fun continues Saturday with the Festival in the Park featuring over 100 arts and craft vendors, an antique car show, a large play area for children with several inflatables, the always popular Arab Choo Choo, festival food and more. 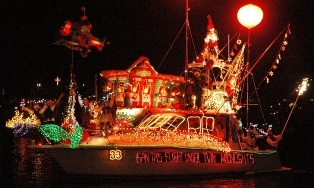 The Flotilla (lighted boat parade) begins Saturday at 6:00 pm and is followed by a spectacular fireworks show. Don't forget to vote via text for both the "People's Choice" and "Crowd Favorite" awards once the parade starts. Price: Free with a small charge for special rides, food and products. Free with a small charge for special rides, food and products.